Ghana - Telecoms, Mobile and Broadband - Statistics and Analyses | Market Research Reports® Inc.
Ghana - Telecoms, Mobile and Broadband - Statistics and Analyses report is published on April 3, 2019 and has 115 pages in it. 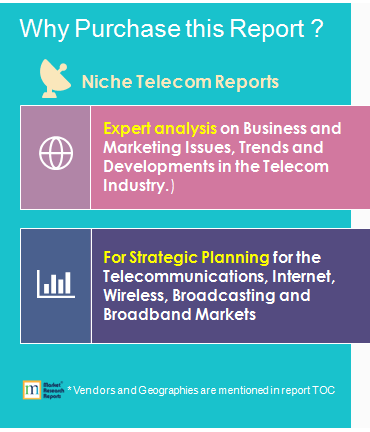 This market research report provides information about Telecom, Broadband, Country Overview (Telecom), Handsets & Devices, Telecom Infrastructure & Networks industry. It covers Ghana regional market data and forecasts. It is priced starting at USD 1,150.00 for Single User License (PDF) which allows one person to use this report. Ghana’s telecom market has benefited from the privatisation of the incumbent telco Ghana Telecom and its rebranding as Vodafone Ghana. The company is the principal fixed-line provider and also the third largest player in the mobile services sector, after MTN and the recently merged AirtelTigo. It remains a key investor in telecom infrastructure, supported by various government-funded schemes to extend the reach of telecom services nationally. Recent upgrades have included an extension to the Eastern Corridor as well as a new cable connecting to Burkina Faso operated by Vodafone Wholesale. The launch of LTE services by Vodafone Ghana in March 2019 and the extension of LTE-A services by MTN Ghana, have greatly improved the quality of mobile data services for end-users. This has been reflected in a number of areas, including the strong m-commerce and m-banking sectors. The vibrant mobile market has retained steady subscriber growth. Ghana has a highly competitive internet market, and though there is a large number of licensed ISPs most subscribers are customers of only a few operators. In common with other markets in the region, the vast majority of internet accesses are via mobile networks. Vodafone Ghana (Ghana Telecom, OneTouch), Capital Telecom, Globacom, MainOne, VoltaCom, Phase3 Telecom, Suburban Telecom, AirtelTigo (Tigo Ghana, Airtel Ghana), MTN Ghana, Expresso Telecom (Sudatel, Kasapa), Globacom (Glo Mobile), Thuraya, Network Computer Systems (NCS), InternetGhana, Africa Online, Busy Internet, Linkserve, IDN, Infinite Stream Ghana, Electricity Corporation of Ghana (ECG), Cactel Communications, O3b Networks, Internet Solutions.